Launched in August of last year, the latest Specialized Enduro brought with it a new frame, new wheelsize options, and new geometry designed to take the platform’s big-hit performance to the next level. 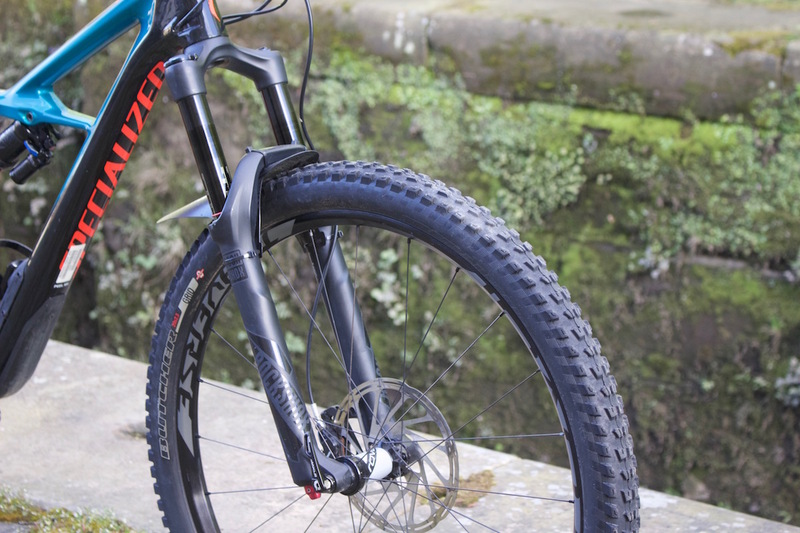 For the 2017 Enduro platform, there are two different options; the regular Enduro with 27.5in wheels and 170mm of travel front and rear, and the Enduro 29/6Fattie that we’ve got here. 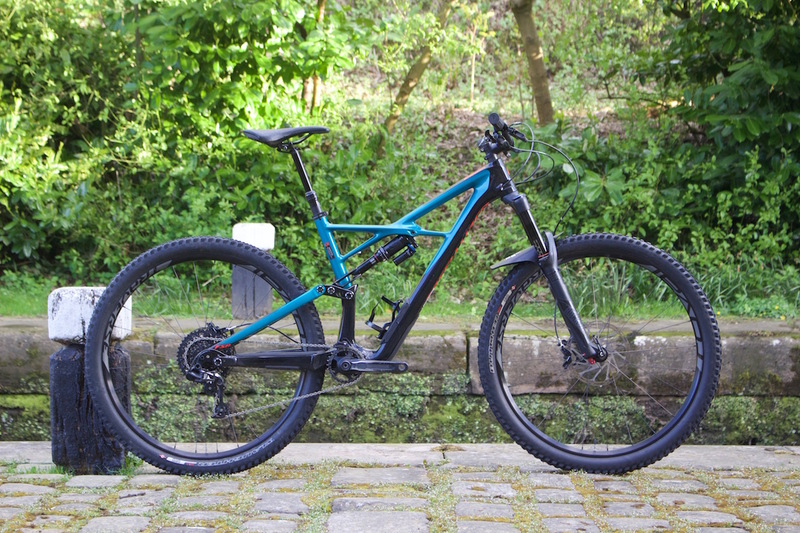 Specialized give us their take on the big travel 29er. 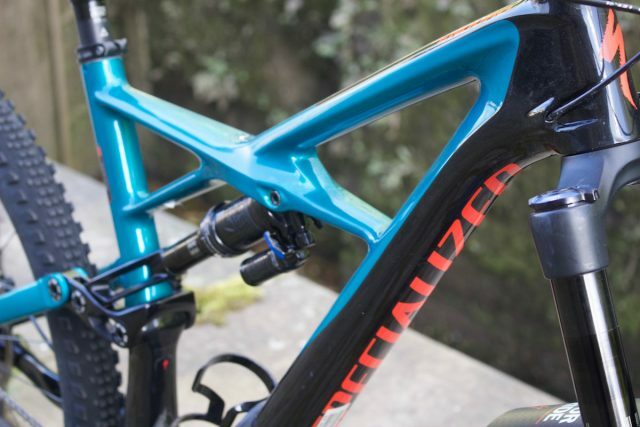 As one of the most successful long travel 29ers on the market, Specialized had its work cut out when it decided to undertake the redesign. 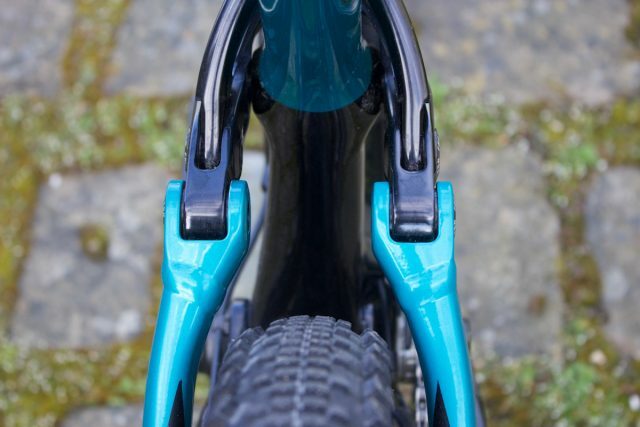 But rather than any radical changes, Specialized took the same successful recipe achieved with the original Enduro 29er, and undertook several key refinements to geometry and the parts spec to up the performance level. A reworked suspension design has increased travel, and an all-new mainframe for the carbon models makes use of the clever SWAT door design that allows riders to stow spares inside the frame’s downtube. The Enduro name has been in existence since 2002. So what does 15 years of evolution get you? 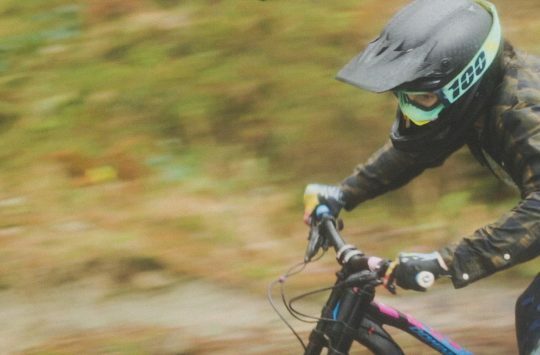 “With the all-new Enduro Elite Carbon, we’re still scratching our heads—is faster on the way up or the way down? But at this point, we’re kind of like, “Who cares? 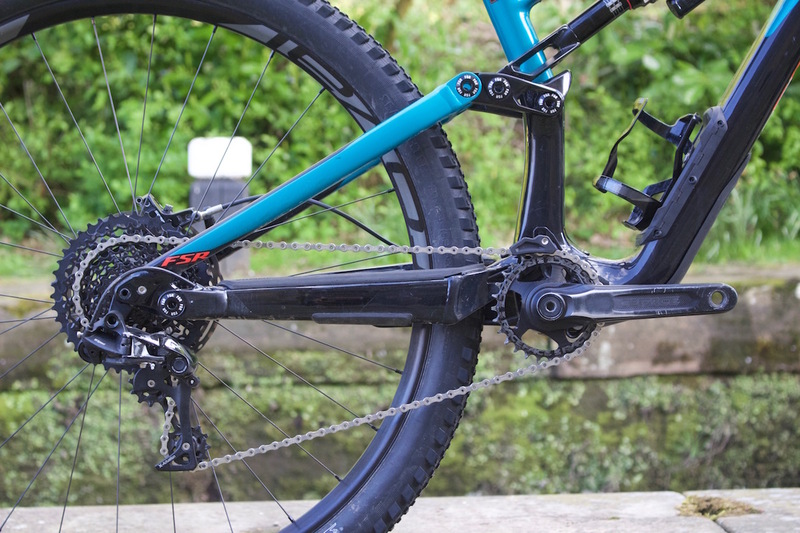 This thing is fun as hell.” We gave it a whole new geometry, with a slacker front end, a longer top tube, short chainstays, and a low bottom bracket. 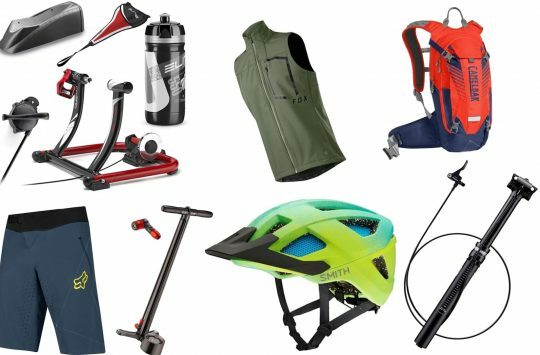 All of this together makes the bike truly feel glued to the ground, and the platform is more responsive and capable then ever” – Specialized Bicycles. The 2017 Specialized Enduro Carbon Elite 29/6Fattie. FACT 9m carbon fibre front end. 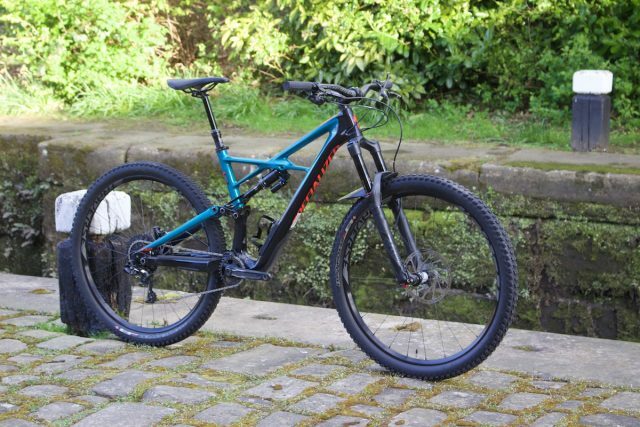 There are eight different Enduro models available in the UK for 2017, starting from £2900 for the alloy Enduro Comp 650B, and going up to £7400 for the S-WORKS Enduro 29/6Fattie. 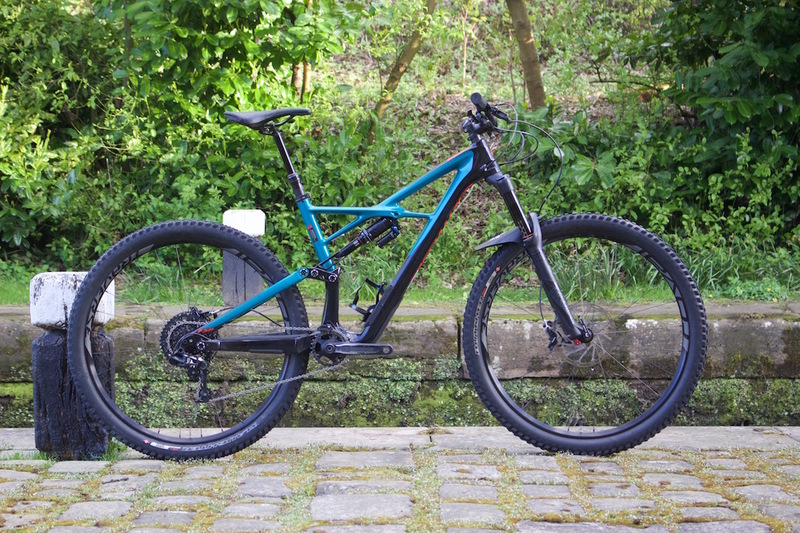 The metallic blue model that we’re testing is the Elite Carbon 29/6Fattie, and it sits somewhere in the middle of the range with an RRP of £4200. That distinct X-Wing frame design. 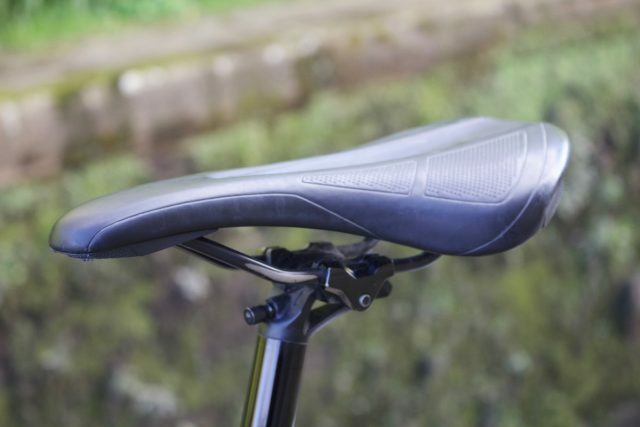 Compared to the S-WORKS models, the Elite Carbon 29/6Fattie only uses a carbon fibre front triangle, while the rear remains as the M5 alloy variety. 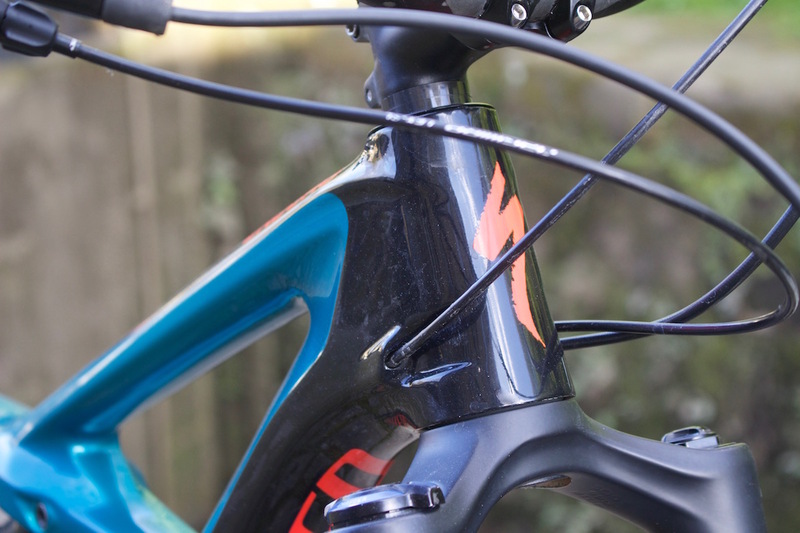 The mould for the front triangle uses the same distinctive X-Wing shape as the S-WORKS frames, but subs in a cheaper FACT 9m carbon fibre that offers similar strength and ride characteristics, but at a slightly heavier weight. 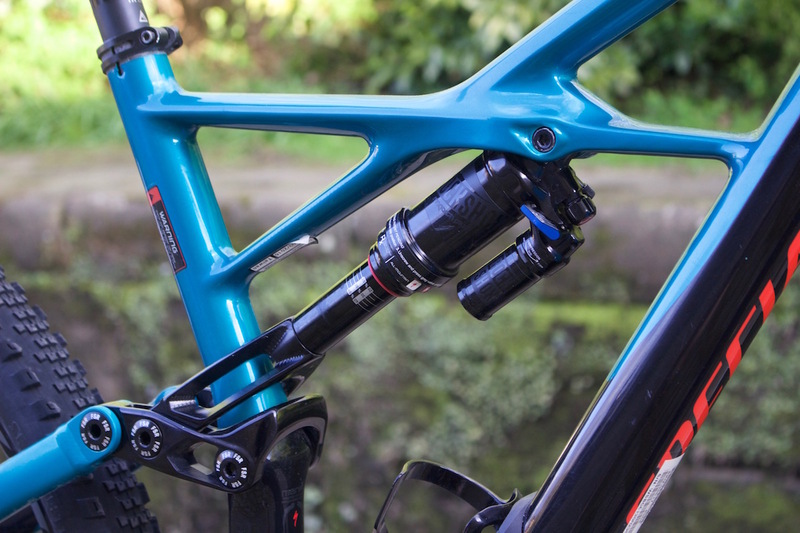 The rear shock is hidden underneath the top tube, and that allows room for a bottle cage inside the mainframe. For the back end, there’s 165mm of rear wheel travel (compared with 155mm on the 2016 Enduro 29er). 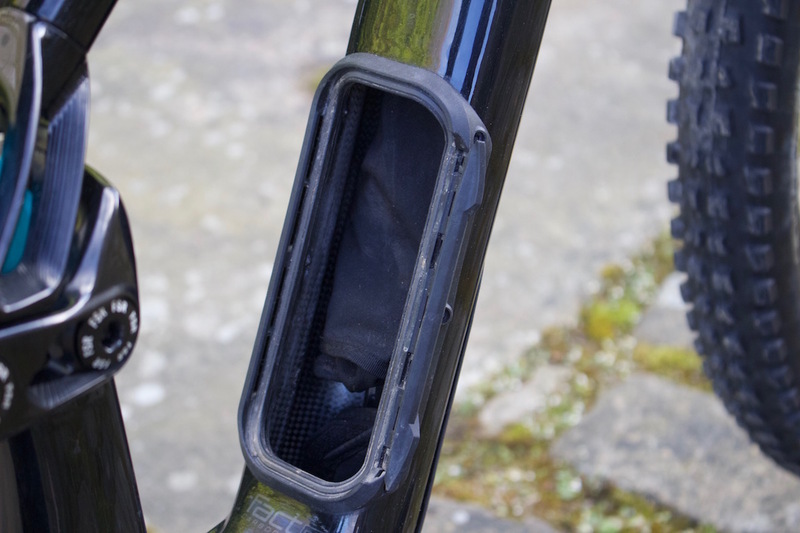 The overall layout is the same, with the shock mounting in a carbon hood just below the downtube. 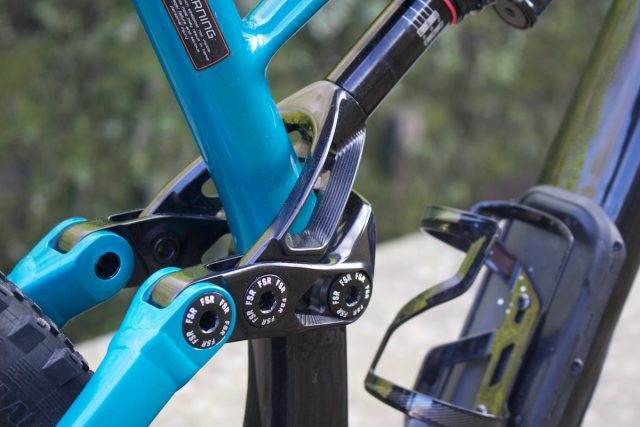 Beautifully CNC machined shock yoke. Driving the rear shock is a machined alloy yoke that connects the upper rocker link to the rear shock. 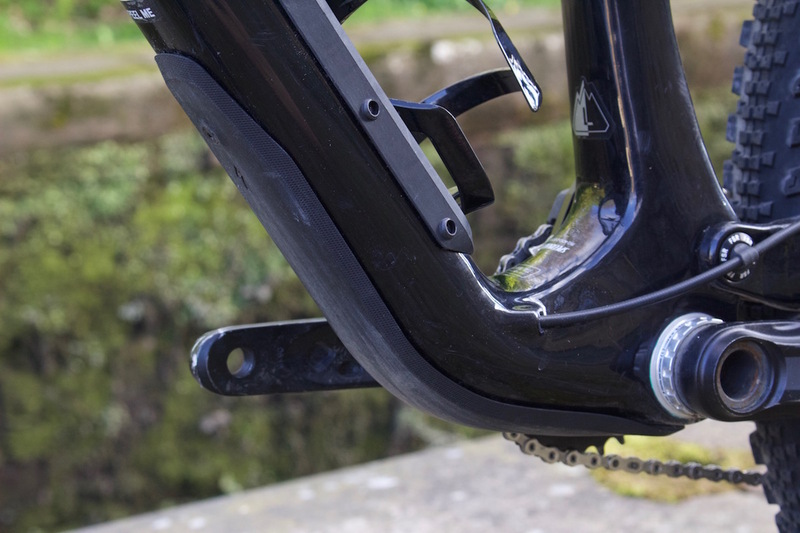 Specialized captures the lower shock eyelet, effectively increasing the length of the shock stanchion to create a more linear suspension curve. Chunky clevis-style pivots connect the bridgeless seatsays to the upper rocker link. 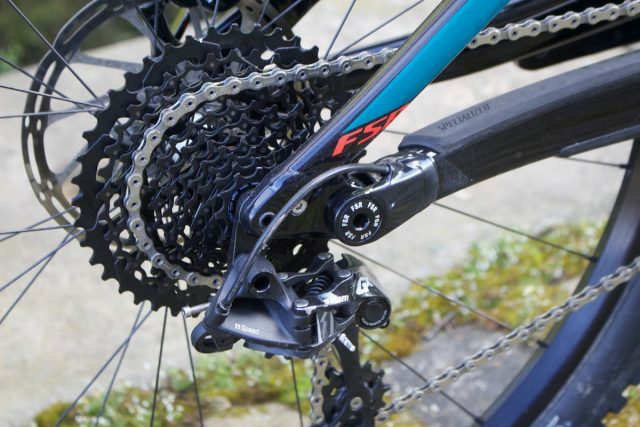 Specialized is employing larger sealed cartridge bearings in throughout the FSR suspension design. 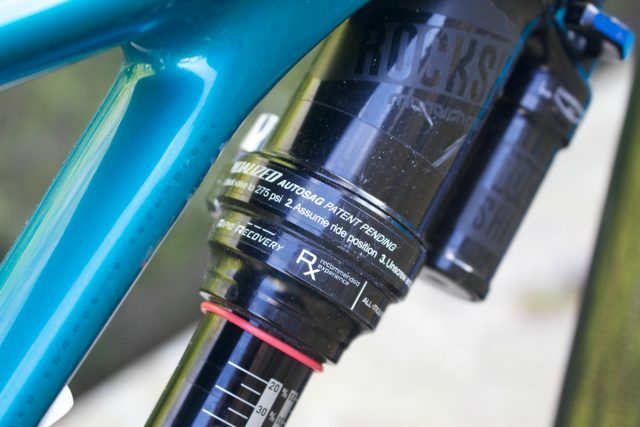 The rear RockShox Monarch Plus features a custom Rx trail tune that Specialized has designed specifically for the Enduro back end. Autosag valve for the rear shock to simplify suspension setup. Rejoice – it’s a threaded bottom bracket shell! Nice rubberised belly armour too. 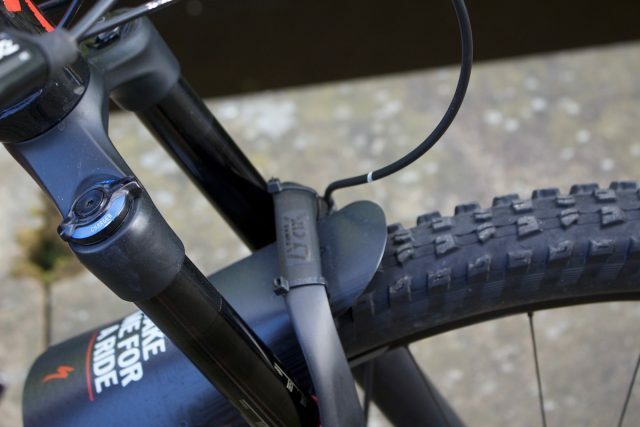 One of the changes for the new Enduro frame has been the adoption of the SWAT Door first debuted on the carbon Stumpjumper and Camber models. The SWAT door makes use of the large hollow downtube by providing an opening for that cavity via a small trap door hidden underneath the bottle cage. It’s all very James Bond. Definitely room for a flask, though a full beer bottle we’re not so sure of. 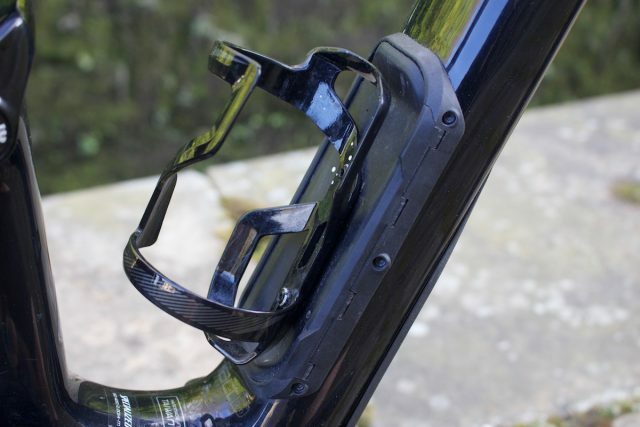 A latch running up the side of the frame allows you to secure the SWAT door in place. 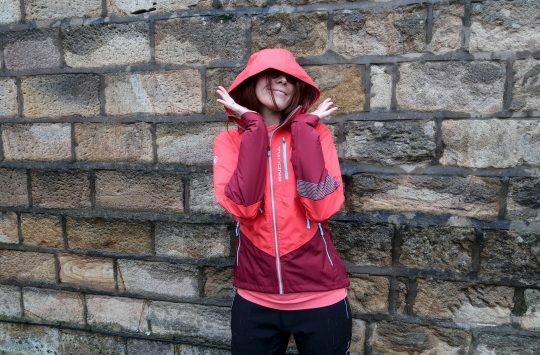 Familiar FSR design, now with all-new BOOST! 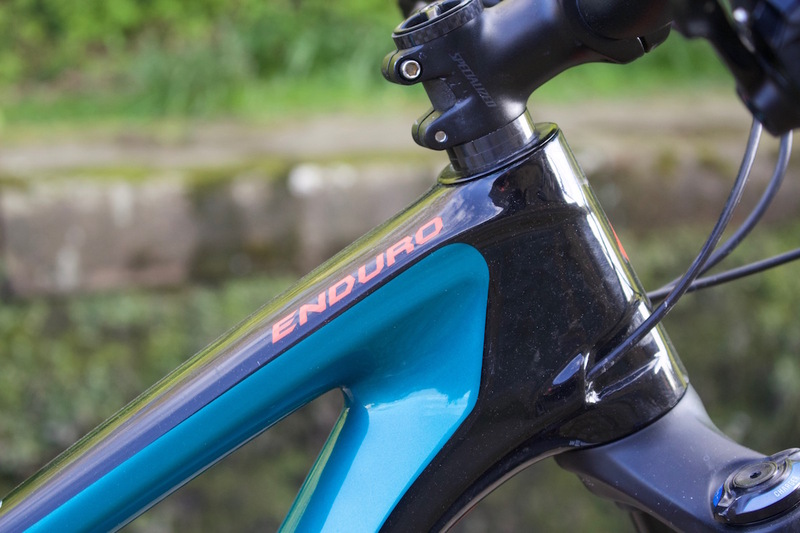 The back end of the Enduro appears to be much the same as the previous model, though there are plenty of changes abound. 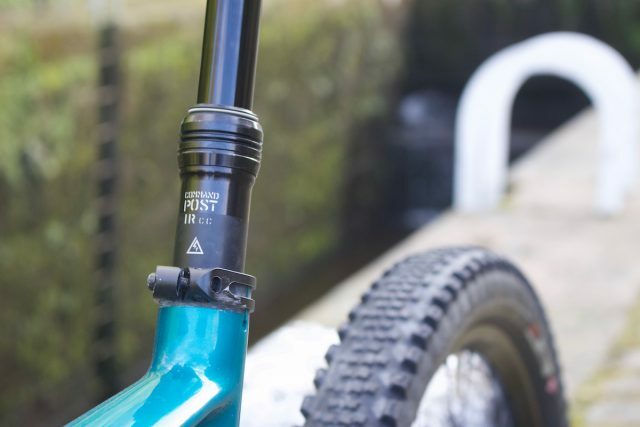 The first being the move to Boost spacing, which has pushed the drivetrain out from the frame by 3mm, whilst making way for a 148x12mm rear hub that helps to create a stronger and stiffer rear wheel. The added chainring clearance from the 1x specific frame has afforded additional tyre clearance, with the 29er setup allowing a 2.5in wide tyre to fit, and the 27.5+ setup allowing up to 2.8in tyre to slot right in. With the stiffer rear wheel and additional tyre clearance, Specialized has still been able to keep the chainstays short at 432mm – which is pretty bloody impressive given this frame has 165mm of rear wheel travel. Spinny 28t chainring for the climbs. 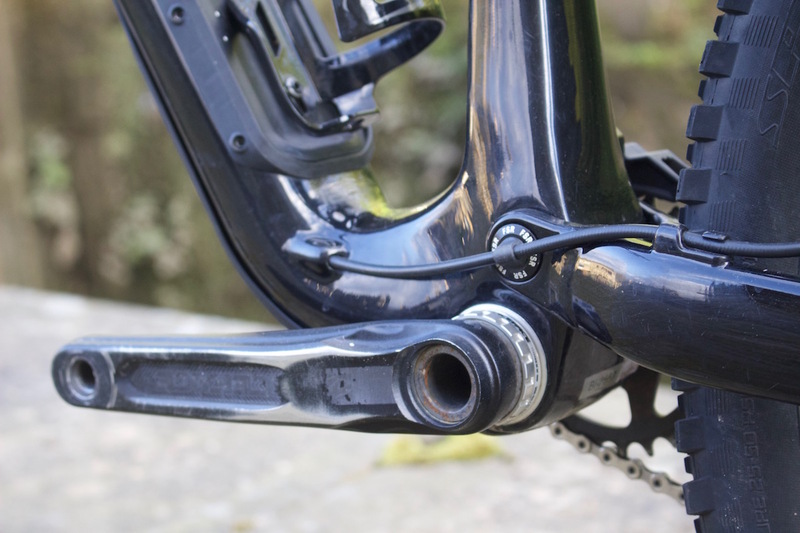 Super tidy cable routing – how’s the stealth guide on the main pivot? 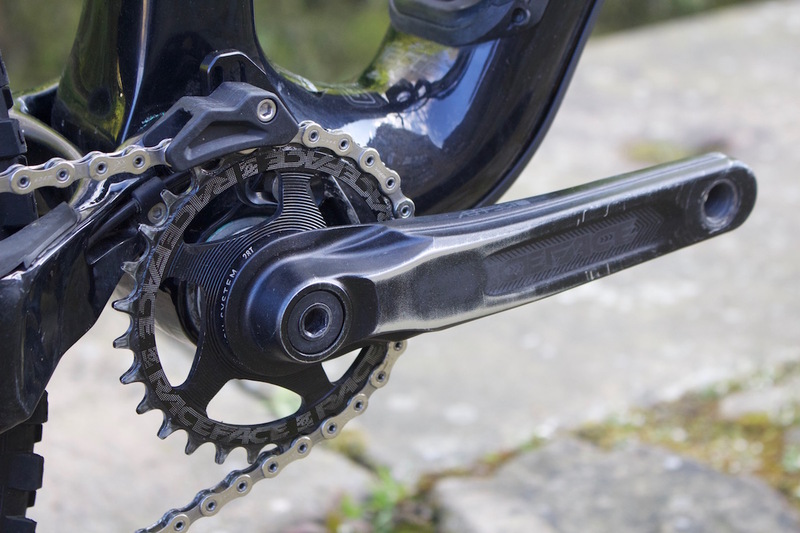 Another change for the 2017 Enduro frame has been the welcome move back to a threaded bottom bracket shell. No more press-fit bottom bracket bearings with the old OSBB system. Just a simple screw-in design for the bottom bracket cups. 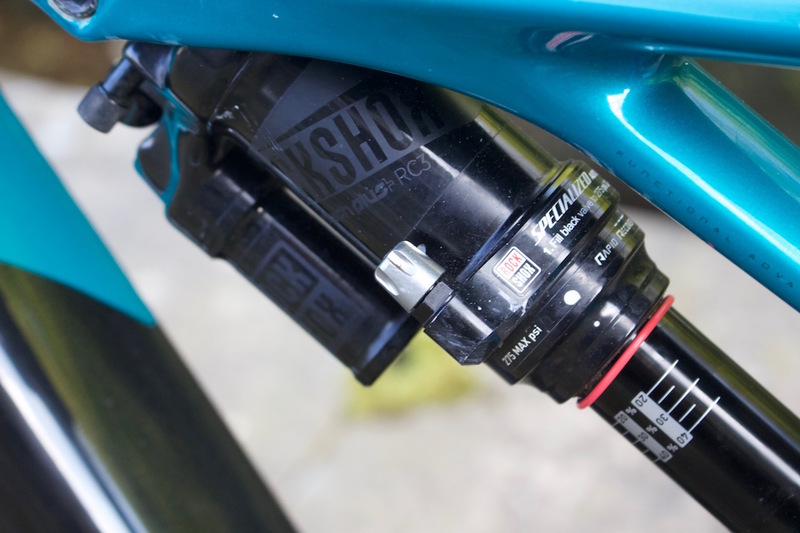 Specialized provide the internally-routed Command IRcc dropper post on the Enduro 29, but the 125mm travel seems too short for our liking. More Specialized goodness, this time in the form of the excellent Henge saddle. 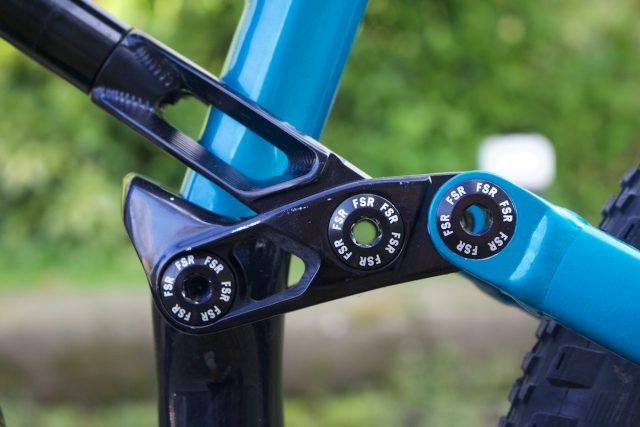 Nice and wide 780mm riser bars. 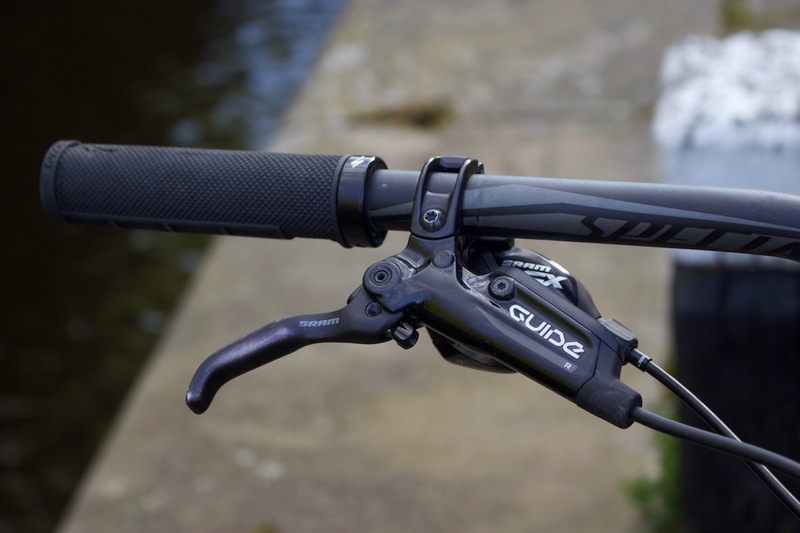 It’s SRAM all-round on the Enduro 29, with Guide R brake levers and a GX trigger shifter. 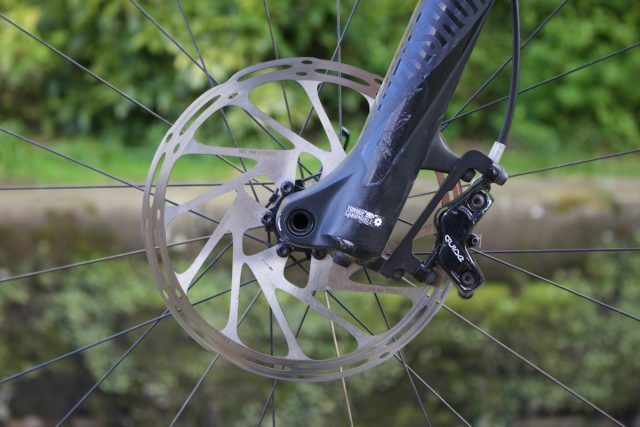 Big rotors too – 200mm up front, and 180mm out back for warp speed control. 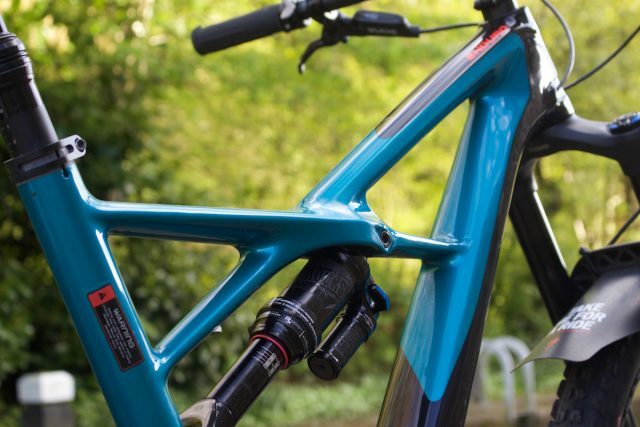 Specialized is busting a big Lyrik on the Enduro 29er, with 160mm of travel up front. With the step up in rear travel, Specialized has balanced out the new Enduro 29er with a 160mm RockShox Lyrik fork. 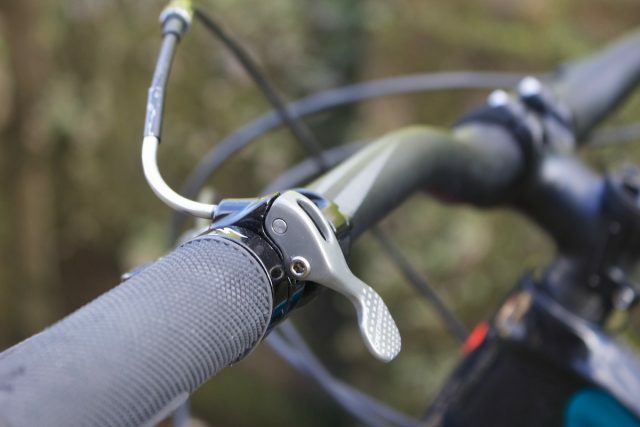 The longer fork kicks the head angle out to 66°, and it features a longer 51mm offset to help stabilise high-speed handling. RockShox Lyrik RC fork gets the Charger damper, but skips the extra adjustability of the RCT3 version. Well, it’d be rude not to! Chunky Roval front hub uses oversized Torque Caps to mate neatly with the Lyrik fork. 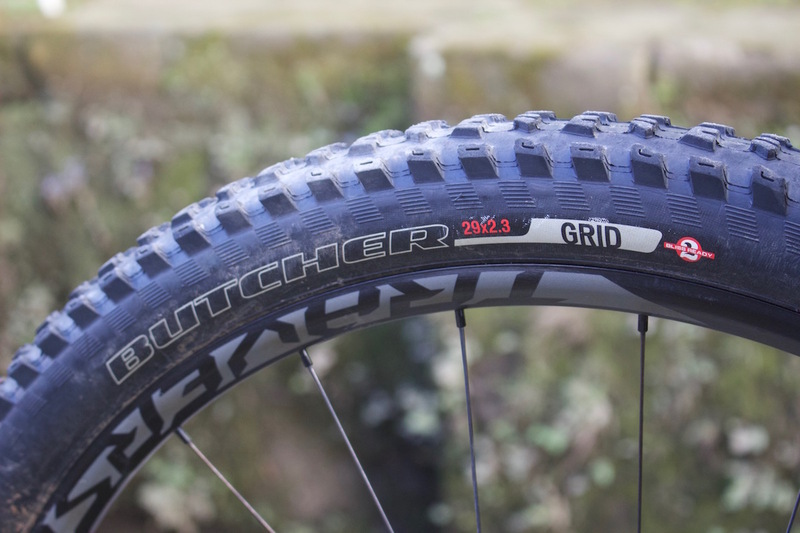 Specialized provide the wheels on the Enduro Carbon Elite 29/6Fattie in the form of its in-house Roval branded Traverse wheels. 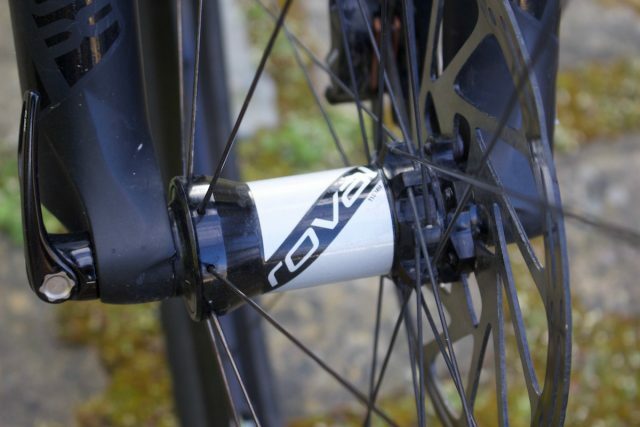 These are rocking Boost hub spacing front and rear, though the front hub uses oversized end caps to mate with the Torque Cap fork lowers on the RockShox Lyrik. No carbon rims here. 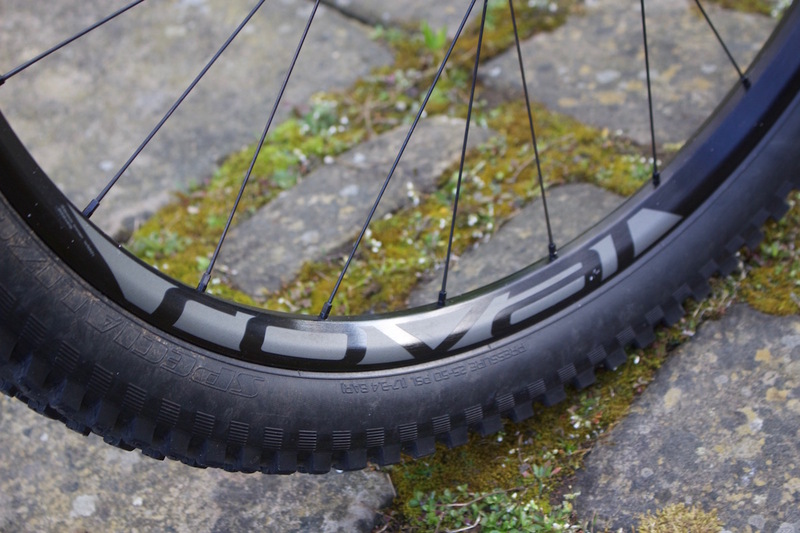 Just good ol’ alloy with a 29mm internal rim width and a tubeless ready design. 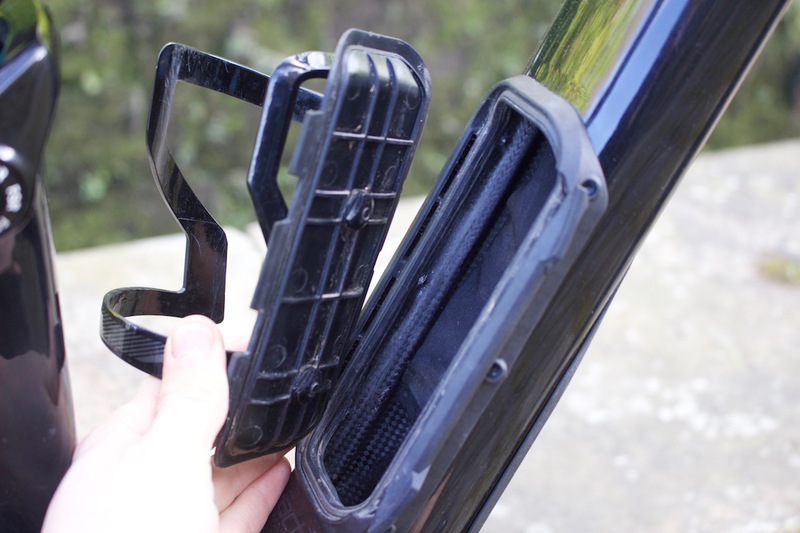 Reinforced GRID casings are used for the Butcher front and Slaughter rear tyres. 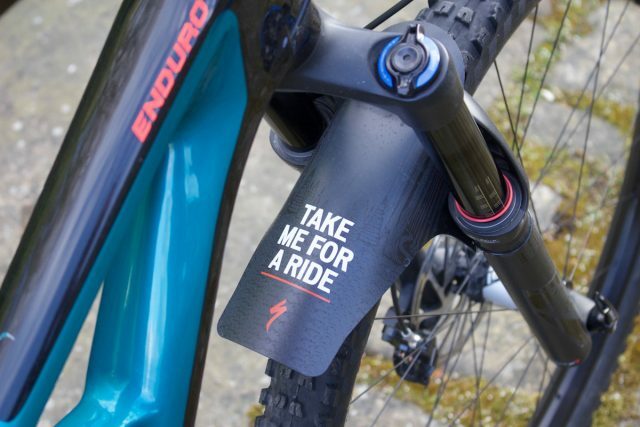 The changes to the new Enduro 29er are subtle, but welcome. And that there concludes our virtual visual tour of the 2017 Specialized Enduro Carbon Elite 29/6Fattie! We’ll be putting this one through the grinder over the coming weeks, and you can look forward to a full review on the website in the near future. 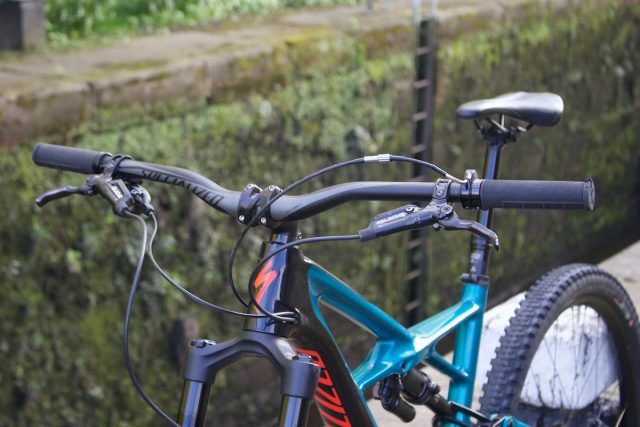 If you’d like to know more about the Enduro range and any other models within the Specialized lineup, then step on through to the Specialized Bicycles website. Time to see what this puppy can do!